'We believe that other forums should follow, but it is too early to speak about dates right now,' said al-Qudsi who is a delegate from Ba'th Party. Some differences arose during the discussions in Sochi, which are considered as normal, he said. The congress was attended by some 1,500 delegates representing the entire Syrian society. Russian, Turkish and Iranian government delegations, as the sponsors of the Syrian talks, also attended the congress. Some bilateral meetings were also held on the first days of the talks on Monday. Turkey’s President Tayyip Erdogan and his Russian counterpart Vladimir Putin agreed to step up efforts to form observation posts in the northwestern Syrian province of Idlib, a source in Erdogan’s palace said on Wednesday. The two leaders also stressed in a telephone call the importance of Tuesday’s Russian-sponsored conference on the conflict in Syria, despite problems at the meeting. Erdogan shared information with Putin regarding Turkey’s incursion into Syria’s Afrin region, the source added. Related: Why is Russia Helping Turkey in Afrin? MOSCOW, January 31. /TASS/. Russian and Turkish Presidents, Vladimir Putin and Recep Tayyip Erdogan, said in a phone conversation on Wednesday they were satisfied by the results of the Syrian National Dialogue Congress in Sochi and stressed the importance of fulfilling the agreements, the Kremlin’s press service said. "The heads of state welcomed the outcome of the January 30 Syrian National Dialogue Congress in Sochi. They stressed the importance of implementing the agreements reached, which are aimed at the effective progress of the Syrian political settlement based on the UN Security Council’s Resolution 2254," the statement said. I'd saved this big expose from "The Intercept" last week. Flush with Omidyar's Ebay money one would think this alternative media shored up by so called "adversarial journalists" would have been able to get a jump on my one person penny ante blog. But, no. NO GOOD ORGANIZATION- They should be shunned- By everyone. Everywhere. Kahana explained that the first stage is to bring in medicine and equipment, the second stage is to open schools and focus on education, and the third stage is to help create and equip a local police force. “This will be the largest expansion of an illegal Israeli settlement in the Occupied Syrian Golan since the 1980s,” a letter from Al-Marsad to the Delegation of the European Union to Israel reads. Over the last two years, Israel started building out the first phase of a safe zone in southern Syria. The project enabled the Israeli army, through humanitarian organizations and military personnel, to gain access to opposition-held areas in return for supplying aid, medical treatment inside Israel, and basic goods. According to sources, the second phase, which is currently underway, includes, among other things, the establishment of a 40-kilometer, Israeli-monitored buffer beyond the Golan Heights, a Syrian border police force armed and trained by Israel, and greater involvement in civil administration in opposition-controlled areas in two southern provinces. The expansion of the project also involves military aid to a wider array of opposition factions in both Quneitra and Daraa. The wider buffer zone also sees partnerships being built up with Syrian opposition leaders, civil society leaders, NGOs, and health officials on the ground to work on joint educational, health, and agricultural projects. Undoubtedly Omidyar's article was better read then all mine. Money certainly gets one more promotion. But does it result in better journalism? It's interesting to observe this sort of bias against the nation state of Turkey. Largely due to some negative idea of Erdogan. I scratch my head at it. It's another nation state in among a whole pile of nation states. It's leader is no more wily then any other leader. I don't get the whole Saint Putin vs Evil Erdogan meme? Erdogan is a player as much as Putin is a player. And that's just the way it is! I don't do 'cult of personality' either. It's just another form of manipulation or perception management. That inevitably leads to irrationality. Thinking of Erdogan, Putin and Donald Trump. This is what got the Trumpsters all caught up in the "make America great again' nonsense- They saw the Donald. 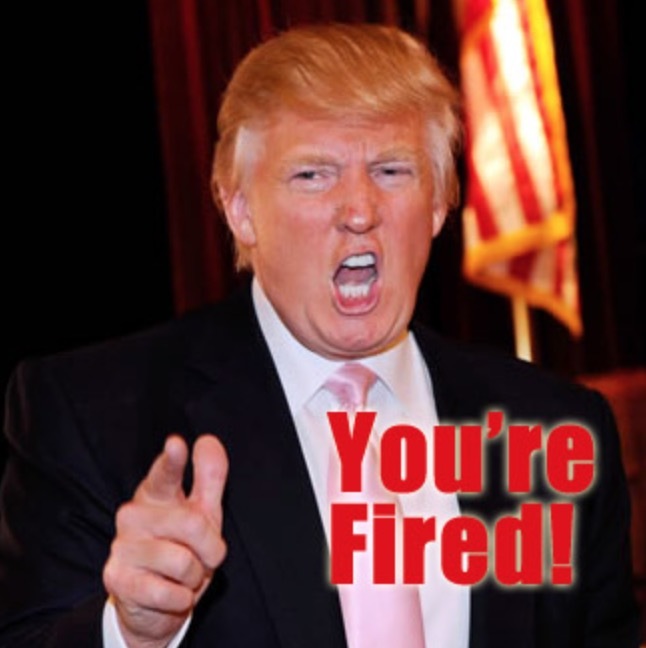 The Apprentice & "Your fired" was what the Trumpsters were buying into. "Cult of personality"
Sadly, Canadians bought the Trudeau 'cult of personality' hook, line and sinker. Really sad. It seems and I could be wrong, that people don't understand or don't want to understand that what is occurring with Turkey, Russia, Iran and Syria is realpolitik "a system of politics or principles based on practical rather than moral or ideological considerations"
I had hoped for so long that Turkey, Syria, Iran, Iraq and Russia would come to some sort of an understanding- Maybe temporary? Maybe fragile? But gosh darn it, It's been years that I've talked about my hope for some kind of teaming up by all these other players in the region to challenge USrael hegemony in order to impede or prevent entirely their own destruction through the Usrael balkanization of several nations. Finally it appears that Turkey, Syria, Iran & Russia have reached or are attempting to reach an understanding. Sochi is realpolitik in action- That's how it looks to me. How about you? "Sochi, not Geneva, is the forum where the endgame for the Syrian proxy war will be decided. Diplomatic sources confirmed to Asia Times that the Turkish offensive was directly approved by Russian generals after a visit to Moscow by Hakan Fidan, second in command at the MIT, the Turkish secret service"
Pepe engages in some non plausibe, in my opinion, speculation about what if the PKK/YPG decide to ally themselves with Assad? Why would they? They were already given that opportunity and they rejected. Why would Assad trust them to hold up any sort of deal regarding territorial return? "Remember, Erdogan is at the mercy of Russia’s goodwill, even though Moscow and Ankara are currently in total synch on the key issue, which is that Washington must be deprived of any leverage in Syria. Things will come to a head on Monday when Russia hosts the Syrian National Dialogue Congress in Sochi. Sochi, not Geneva, is the forum where the endgame for the Syrian proxy war will be decided." "Damascus is on board. So is Tehran. Ankara may also be, as long as it reins in those “moderate rebels” it controls in Idlib province (that's most probably already occurring- Why is Russia Helping Turkey in Afrin?) and brings them to the table in Sochi. And Moscow was happy to back Olive Branch; one day after the operation was launched, Russia announced a final list of Sochi attendants. Of course, Turkey was on it. From Ankara’s perspective, this implies there will be no US-backed Syrian Kurd statelet. In turn, this is bad news for the Syrian Democratic Forces (SDF), which trusted Washington’s balkanization gambit and were trained by US special forces. If that was not bad enough, the SDF is also accusing the Russians of treason. NATO’s southern command is in disarray, with question marks hanging over the Incirlik Air Base in Turkey. The US needs Ankara’s cooperation to use it. NATO also needs Turkey for access to the Black Sea for any future operations against Russia and Crimea." The modern treaty controlling relations is the 1936 Montreux Convention Regarding the Regime of the Turkish Straits, which is still in force. It gives the Republic of Turkey control over warships entering the straits but guarantees the free passage of civilian vessels in peacetime. "What is absolutely certain is that the Sochi Three – Russia, Iran and Turkey – have all agreed that Washington should have no influence in Syria. In this latest chapter of the New Great Game, Turkey is bang in the middle. It will now depend on Russia and Iran for energy, with Moscow building power stations and delivering an S-400 missile defense system to Ankara. Turkish trade will also involve China’s New Silk Road, or the Belt and Road Initiative, and the Eurasia Economic Union of Iran, Russia, Central Asia and China. “Go East” – not West – will now be the mantra." Realpolitik is the order of the day at Sochi- Practical politics necessary for very practical reasons. Russia's own unity depends on this deal- As does Turkey's. Syrian and Iranian. This is truly bigger then just any one nation state. The narrative below, excerpted from the oped, works for me. It jibes with much of what I've posted here this past YEAR. 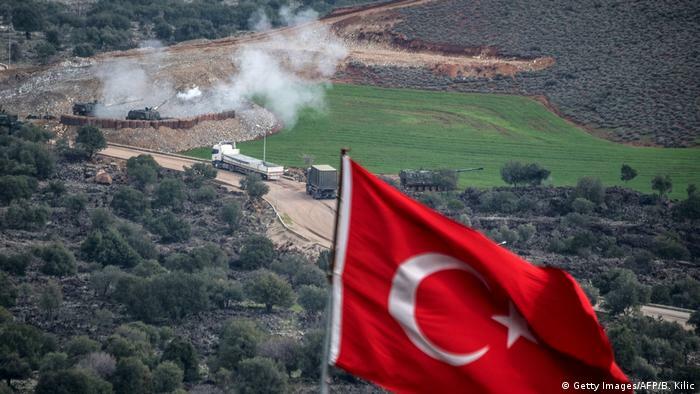 "On January 20, Turkey launched an air and ground offensive, which it called "Olive Branch", against the Kurdish-controlled enclave of Afrin in northern Syria. First of all, the operation required the Turkish Air Force to enter Syria's airspace - something Ankara could not have done without consulting Russia. 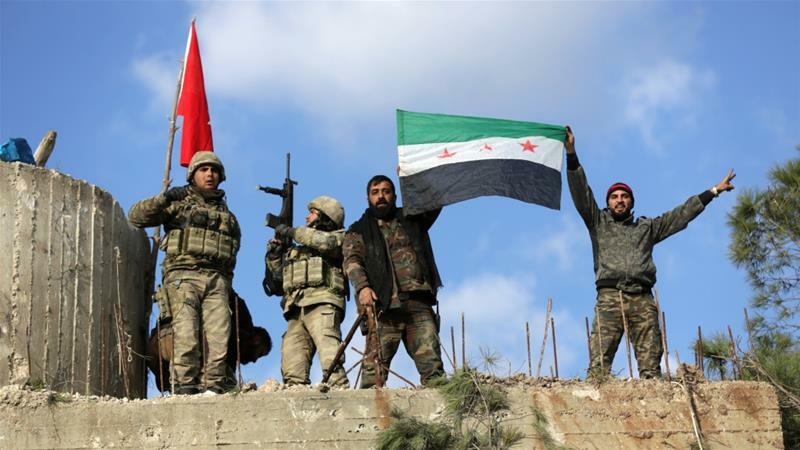 January 19/18: Russian Forces Exit As Turkey Begins Afrin Operation? I completely missed the YPG/PKK’s display of principles? "With the start of the operation, Russia clearly became a Turkish accomplice in the eyes of the Kurds. It is difficult not to agree with the Kurdish assessment, but a close examination of last year's developments shows that the cooperation between Moscow and Ankara regarding the future of Afrin, at the expense of the Kurds, started long before Turkey launched its operation against the enclave. The seeds of the operation "Olive Branch" were planted last summer, during talks between Russian Defence Minister Sergei Shoigu and Turkish Chief-of-Staff Hulusi Akar in Istanbul. As result of these talks, Moscow gave consent to the partial use of Syria's airspace by the Turkish air forces, paving the way for Turkey's offensive on Afrin"
"Ankara began building up its military presence near the Kurdish enclave (annexed Syrian territory) over a month ago, after reaching an agreement with Moscow on the delineation of the de-escalation zone in Idlib"
As covered at that time.. “Russians say if we allow the Syrian regime forces enter Afrin, they will stop the Turkish attacks,” Mr Abdo said. Only one of the external links is viable- And Youtube has taken the video down. I guess with Afrin heating up- it was best to scrub certain reports from the net. To recap- Last year in July Russia tried to make a deal with YPG/PKK in Afrin. The Kurds said- NO. Which again leaves me asking why any of the 5 eyes media, alt or mainstream, was surprised by this move? Two follow up posts from September of 2017 can be found here and here. "Moscow's approval of the operation Olive Branch became even more clear on the day the hostilities began, when the Russian Ministry of Defence announced the withdrawal of Russian troops from Afrin. Also, in the brief statement it issued about the operation on January 20, the Russian Ministry of Foreign Affairs confined itself only to a duty of "concern" that was interpreted as a "green light" to Turkey's actions"
And in the case of Afrin, Moscow does not owe the YPG much. Throughout the Syrian crisis, the group allied itself with the US and, de facto speaking, placed itself on the opposite side of the conflict. The Kurds rejected Russia's offer to transfer the territory under their control in Afrin to the Syrian regime, in exchange for security guarantees." The US military will look into the possibility of supporting from the air the Afrin Kurds’ advances in northern Syria against Daesh, Operation Inherent Resolve spokesman Col. Steve Warren told reporters on Wednesday. Indeed, the YPG/PKK in Afrin were firmly on board with the US. The US had provided them with air support under the guise of bombing Khorosan. Russia had tried to make a deal with them last year- they said no. Turkey was never going to tolerate the creation of this Israel 2.0..
"In addition, cooperation with Ankara is of primary importance for Moscow at the moment. Turkey is one of the co-organisers of the Congress of Syrian People, which is being held on January 29-30 in Sochi. Finally, Turkey has another, important bargaining chip against Russia: the Turkish Stream gas pipeline. Moscow has pinned high hopes on the project and it does not want anything to hinder its construction"
Natural gas extracted from Novy Urengoy in the Yamalo-Nenets autonomous region in Russia’s Siberia will feed the Turkish Stream pipeline. The field, operated by Gazprom, sits on an estimated gas reserve of 12 trillion cubic meters, the 2nd largest in the world after Iran’s Southern Pars field. Natural gas produced in the field is also transferred to Germany, Poland, Austria, Denmark, France, the United Kingdom and the Netherlands. A single gas field in Novy Urengoy, such as the 16th gas field, which employs 3,700 workers, can produce enough gas to meet Turkish Stream’s annual 31.5 billion cubic meters of capacity"
" France and Britain will not take part in Syrian peace talks to be held in Russia on Tuesday, saying the talks had to be part of a U.N.-led process and urging Moscow to get the Syrian government to engage in meaningful negotiations"
Russia has invited the other permanent members of the U.N. Security Council - Britain, China, France and the United States - to the meeting, which the Syrian opposition has said it will boycott. ”All other initiatives, like the Sochi meeting organised by Russia, must support the U.N. process and be in that framework,” a French foreign ministry spokesman said in a daily briefing. “We take note of the Syrian opposition’s (YPG/PKK) decision not to go to Sochi. France will not participate in the work being carried out there,” the spokesman said. If France and Britian really wanted peace they'd agree to it through whatever means it can be accomplished. If it's the Sochi talks, so be it! I'm posting this article to point out the spin that is placed at the end of the piece. A female fighter within the Kurdish People’s Protection Units paramilitary group has blown herself up amid an ongoing offensive by Turkey-led forces in Syria’s Afrin region sources report. 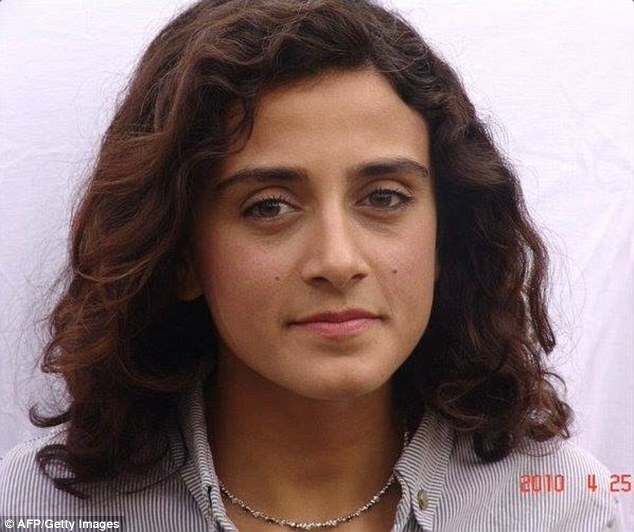 Sources following developments in Afrin are reporting that a Kurdish female fighter by the name of Avesta Khabur has blown herself up to in an attempt to turn back an armored assault by the Turkish Army. The incident is said to have taken place in the village of Hemmam and that it resulted in Avesta Khabur taking the lives of several Turkish troops along with her own as well as the destruction of a battle tank. Sources are vague about the conditions in which Avesta Khabur carried out the suicide bombing. It is hard to believe that it was a preempted Islamist-style martyrdom operation in the fashion that jihadist factions carry out such attacks. If the reports are true then rather it is case that Avesta likely found herself surrounded by enemy forces and – seeing no way out – then committed to the suicide attack against the Turkish Army. She likely found herself surrounded by enemy forces? So her comrades, the fierce ISIS fighters, simply left her on her alone, unattended, allowing her to become "surrounded" by enemy forces? "Seeing no way out" she blew herself up. So she was already wearing explosive devices? And she had not choice? This was not happenstance, though, that is the idea presented. Why? So that any easily swayed reader will believe something other then reality? Turkey's Destabilization- Kickin' It Up a Notch? Or Two,Three, Ten Notches?? "The Kurdistan Freedom Hawks (TAK), an offshoot of the outlawed Kurdistan Workers Party (PKK) militant group, said Friday it carried out a suicide bombing in Turkey's biggest city Istanbul this week that killed 11 people." "A female Kurdish fighter has carried out a suicide attack in the besieged Syrian town of (Ayn al Arab commonly presented as) Kobane"
A female member of the outlawed Kurdistan Workers Party (PKK) was one of two suspected perpetrators of a car bombing that killed 37 people in the Turkish capital Ankara, security officials said on Monday. The Kurdish PKK, a secessionist "secular" movement, perpetrated 16 suicide attacks in the years 1996-1999 (plus five foiled attacks), which killed 20 people and wounded scores. - Knowing fact. Not buying into fantasy. Or spin. Or mass mind control media presentation. I do not find it credible that this poor waif of a woman just happened to find herself surrounded by enemy forces. - It is vastly more realistic that she intentionally targeted the Turkish troops, knowing she was going to blow herself up. I am so fed up with spin! Not just when it comes to the presentation of fanatical sunni muslim kurds but time and time again! If another so called Islamist bomber, like ISIS or AQ, did this the news report linked to above would be completely different. Since there is an agenda to create a 'greater kurdistan' we are subjected to the demonstrated manipulative news coverage. Sometimes I just gotta express my disgust with media presentation and this article gave me the perfect opportunity- Rant done. "As part of the UNIFIER training mission, 50 Canadian soldiers arrived in Ukraine, the press service of the General Staff of the Armed Forces of Ukraine has reported with reference to Canadian Ambassador to Ukraine Roman Vashchuk. "We are strengthening our Canadian presence - 50 additional military servicemen arrived in the UNIFIER mission. We support the Ukrainian Defense Ministry in its efforts to maintain Ukraine's sovereignty, security and stability," the press service of the Ukrainian Armed Forces quoted diplomat as saying on its Twitter account. According to Head of the Canadian military training mission in Ukraine, Lieutenant-Colonel Kristopher Reeves, upon the arrival of military instructors, the mission became the largest since its start in Ukraine. As reported, Canada in March 2017 decided to extend the UNIFIER training mission of the Ukrainian military for two years – until March 2019. The mission involves about 200 military instructors from Canada. Operation UNIFIER is the Canadian Armed Forces (CAF) mission to support Ukrainian armed forces in Ukraine. The operation's focus is to assist them with military training. This will help them improve and build their military capacity. The CAF's primary focus in Ukraine is on tactical soldier training. This is also known as small team training. It consists of individual weapons training; marksmanship; movement in areas of potential conflict; explosive threat recognition; communication in troop movement and command and control; survival in combat; ethics. Other training includes, among other things, explosive device disposal training and military police training"
Frankly, I'm still a bit flummoxed at the suggestions that the move into Afrin was an entirely unexpected move. Turkish foreign minister on Friday said the Afrin region in Syria would be handed over to Syrians once it was cleared from terrorists through Operation Olive Branch. "After clearing them [terrorists], we will hand the region over to its real owners; namely, we will hand it over to Syrians," Mevlut Cavusoglu said at an event in southern Antalya. Cavusoglu also slammed the U.S. over its “double-faced” actions, providing arms to PYD/PKK terrorists and expressing concern for civilians as well as the length of the operation. "Do not be double-faced, be honest," Cavusoglu said. He added that it is not possible to find a political solution with terrorist groups. "From wherever terror threat comes, from Afrin [Syria], Sinjar [Iraq], Qandil [Iraq], Manbij [Syria] or Euphrates River's east, we will intervene and destroy it," the foreign minister said. Preservation of the territorial integrity of Syria is the common goal of Ankara and Damascus and the Turkish troops are not going to attack government forces in Syria, Turkish Foreign Minister Mevlut Cavusoglu said. "Once they (the Syrian Armed Forces) shot down our aircraft and we responded. While they do not attack us, we do not need to consider them as our target. Up to this day, we have not taken such actions, Cavusoglu told reporters. Damascus knows that the YPG militias (People's Protection Units) want to divide Syria. Whereas Turkey and Damascus as well as the opposition forces all support the territorial integrity of Syria within its current borders. We believe that the Syrian regime will not cooperate with terrorists," he added. How about a possible Syrian/Turkish Reconciliation Council? According to the politician, right after its creation the new institution should deal with the improvement of ties with the Syrian parliament. "First, we need to reconcile Syrian and Turkish parliamentarians, and then all other politicians, in order to end the war in Syria and preserve its integrity. When the committee is formed and starts its work, then together [with the Syrians] we will become the largest force in the region. Working together, Turkey and Syria will be able to eliminate terrorism in the region and restore confidence in bilateral relations," the politician said. "We understand that because of the developments over the past 6 years, it is difficult to return to the level of relations that we had earlier. But if the committee's work is successful and the reconciliation process begins, then we will be able to establish fraternal relations, eliminate differences and jointly counter terrorism," Topal concluded. "No one apart from the US itself is exacerbating tensions in Turkish-US relations," the academic noted. "Washington simply needs to learn to look itself in the mirror. Relations between Turkey and the US are being spoiled not by Russia, but by America's own absurd policy, and first and foremost, by its project for the creation of a 'Greater Kurdistan'." Remember when everyone else, was reporting the end of the greater Kurdistan Project? Which inspired me two write two lengthy posts on just how wrong that claim was? "That all said reports of the death of Greater/Independent/Israel 2.0 Kurdistan are greatly exaggerated. To believe that what occurred in Kirkuk signals the end of Kurdistan/Greater/Independent, also known as Israel 2.0, is choosing to ignore the complexity of the Kurdish reality. While turning a blind eye the very obvious fact that the US and Israel would have very sensibly UTILIZED Kurds affiliated with the PKK. The KDP. The PUK. And other Kurdish militia/ war lord militants. For the simple reason that the US/Israeli string pullers & others of their kind: planners/strategists who game (a procedure or strategy for gaining an end) these situations would be expected to play multiple angles and employ numerous tactics using a variety of players. Understanding these basic concepts is the reason, entirely, for my writing these posts employing the headlines stating reports of Kurdistan's death are greatly exaggerated!" Through 94 years of independence, Turkish leaders have made clear that the nightmare of post-World-War-I dismemberment can never repeat itself. But it has, despite their best efforts—albeit in an updated form, involving the United States and Syrian territory that the Kurds call Rojava, or Western Kurdistan.
" The Turkish operation is entirely rational—not only in terms of how the Turks view the war in Syria and its impact on their own security, but also in terms of Turkey’s geography, identity, and problematic history with great powers. Policymakers in Washington often justify Turkey’s strategic importance based on location. 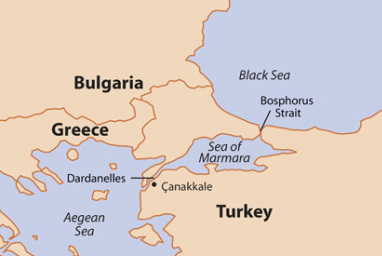 The country’s capital, Ankara, sits roughly at the geographic center of many U.S. foreign policy concerns in the Balkans, the Eastern Mediterranean, the Caucasus, and the Middle East. This geography also has its disadvantages for Turks. As a rump state of the Ottoman Empire, it shares long borders with threatening, unstable, or warring countries, a fact the Turks recognize. It is hard to have, in Atatürk’s famous words, “peace at home, peace in the world” when the fragmentation of countries on one’s borders threatens one’s own unity. Observers were shocked (Really? Why?) when, in October 2016, Erdogan questioned the 1923 Treaty of Lausanne that defined the Republic of Turkey’s borders. At the time, the Turks were facing the possibility that Iraq’s Kurds would declare their independence at the same time their Syrian cousins were leveraging battlefield success and American support to do the same. This geographical fate accentuates the unresolved problem of identity within Turkey’s ethno-national state. It is true that there are many Kurds who have prospered and participate in the political, social, and economic life of the country. (Most likely the vast majority of Kurds have prospered and participated in the Turkish nation- which explains all the AKP supporters ) But there are also a large number (How many? No mention, of course) of Turkey’s approximately 15 million Kurdish citizens (wave around a big number....) who are alienated from a society that, over the course of the republic’s history, has denied their identity or made it difficult to express their “Kurdishness.” These circumstances spawned separatists in the form of the PKK, ( IMO the PKK is a NATO Stay Behind aka destabilizing force) raising fears among Turks that, should this group prevail in battle, it would shear off a large piece of Turkey’s southeast territory. What, from the perspective of Turks, would this mean for Armenian and Greek claims on current Turkish land? All three Anatolian minorities have strong support in the West, raising fears in Turkey—that seem unreasonable and even conspiratorial to Westerners, but reasonable to Turks—about the country’s dissolution"
As has been reported here, for years, the US and it's pal Israel, really, really want Turkey broke up into a number of weak state-lets. This is why the spin regarding the intended targeting, planned destabilization of Turkey has been extremely whirling dervish like. To betray Turkey, a long time US/Israel/NATO ally, has to be done in such a way as to create the idea that Turkey has been or is the betrayer And it's actions have forced a necessary response. I have already read that narrative being employed. It was featured in yesterday's post & there have been other articles very heavily reliant on that narrative. Yesterday: Unless Erdogan Stops Spitting in Trumps Face the US/Turkey Alliance Will End? Had the US successfully pulled off the coup- this out in the open type plotting would have been unnecessary. I have the opinion that Russia assisted Turkey to prevent the murder of Erdogan and the governmental overthrow in order to force the US's duplicity out in the open. "Every Turkish worry about its geographic vulnerability and the ceaseless struggle over identity is wrapped up in Turkey’s unhappy history with the great powers and the current conflict in Syria. The unwillingness of the Americans to intervene in the slaughter in Syria for more than fours years posed a threat to Turkish security, and then, when the United States finally intervened after Kobani, it did so in a manner that threatened Turkish security. As the YPG rolled up the Islamic State with American help, it controlled more and more territory along the Syrian-Turkish border. Of course, Turkish reluctance to fight the Islamic State (explained Turkish reluctance many times) drove the United States to work with the YPG, but this point is almost always lost on the Turkish leadership, which has watched the developing relationship between its alleged strategic partner and its bitterest enemy with growing alarm. The twists and turns in the Syrian civil war and the American determination not to get sucked into it, but to still defeat the Islamic State, have created a slew of inconsistencies in Washington’s approach to those two goals. Being the friend of your friend’s enemy contributes to outcomes like Turkey’s Afrin incursion, which both the regime of Syrian President Bashar al-Assad and the Trump administration oppose. It is true that Afrin is located in the northwest, far from the area east of the Euphrates that is of most concern to the Pentagon, but Secretary of Defense James Mattis’s declaration in response to Operation Olive Branch that “we’ll work this out” with the Turks are the words of a man—no matter how smart and learned—with little in the way of leverage. The United States is likely to accommodate itself to Turkey’s 20-mile security zone in Afrin, but the Turks do not trust (perhaps irreparably) the United States. Washington plays a central role in their century-old nightmare." Canada’s harsh winter weather is just too much for this ship. “Global Warming”? As previously stated Mother Nature didn’t get the memo. The Canadian climate is apparently too harsh for the US Navy, as one of its state-of-the-art vessels found itself trapped in ice in Montreal waterway and may spend the whole winter there before it can set sail again. The US Navy’s Freedom-class littoral combat ship USS Little Rock has been behind schedule almost from the very beginning of its military duties. 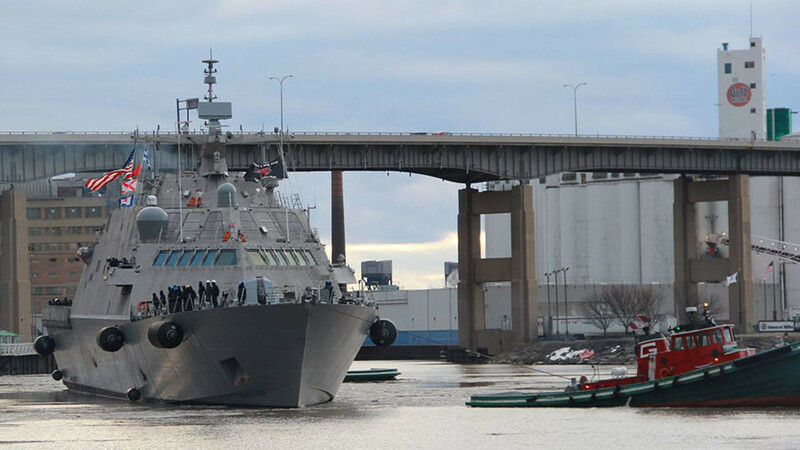 Its first journey to its home port at Mayport Naval Station in Florida from Buffalo, New York, where it was commissioned on December 16, was delayed three days due to the weather. The 118-meter warship also faced “a few challenges” on the way to Montreal, but safely arrived there on December 27. It was not supposed to spend more than one day in the city, but the weather sank the crew’s plans again. The USS Little Rock found itself trapped in ice and has to wait for the spring thaw to move on. “Significant weather conditions prevented the ship from departing Montreal earlier this month and icy conditions continue to intensify,” a Navy spokesperson told the media. The official added that the vessel will stay there “until wintry weather conditions improve and the ship is able to safely transit through the St. Lawrence Seaway.” However, navigation season there usually closes in January, and opens only in March. Unless Erdogan Stops Spitting in Trumps Face the US/Turkey Alliance Will End? Noah Feldman is quite the spin doctor! I personally believe the US has envisioned a NATO with a vastly different Turkey still ensconced in the ‘alliance’ for quite some time now. Not once in this article does the author broach the US backed coup attempt- Nor the years of betrayal inflicted by the US on Turkey. From the time of the Iraq invasion.Imagine that? Turkey’s Thwarted Coup: No Popular Support for Coup. Dead Erdogan desired? Did Russia Provide Intelligence? “Many suspect that Erdogan supports ISIS? But does he? Time has shown my hypothesis to be correct. Oh Noah Feldman, that’s funny. ..The real reason US backed Islamic State was defeated by US backed Kurds was because they shared the same backer! “Turkey under Erdogan is now moving inexorably closer to Iran and Russia. The Iranians, whose concern about Kurds living within their territory is comparable to the Turks’, are thrilled to see the Kurds being put down. And Russian President Vladimir Putin couldn’t care less about the Kurds, provided Turkey respects Assad’s questionable sovereignty over Syria. For Putin, the long game is pulling Turkey into the Russian camp of nations that act against U.S. interests with impunity. "The US military will look into the possibility of supporting from the air the Afrin Kurds’ advances in northern Syria against Daesh, Operation Inherent Resolve spokesman Col. Steve Warren told reporters on Wednesday. "We have not yet taken strikes in support of this group of Afrin Kurds, but it is certainly something to consider." In their fight against ISIS, of course. Keep that 'consideration' in mind while thinking of what is occurring present day..
Daily Mail- This has a whole lot to do with the potential to shatter the NATO alliance. As mentioned yesterday France was going to take this issue to the UN. The UN Security Council discussed Turkey's intensifying offensive against Kurdish militias and the worsening humanitarian crisis in Syria on Monday but did not condemn or demand an end to the sensitive Turkish operation. "It was of course part of the conversation," French Ambassador Francois Delattre said of Afrin after the closed-door talks at UN headquarters in New York. "The call for restraint, I believe, was widely shared during the discussion," he added, saying that France was "attentive to the security of Turkey, its territories and its borders." 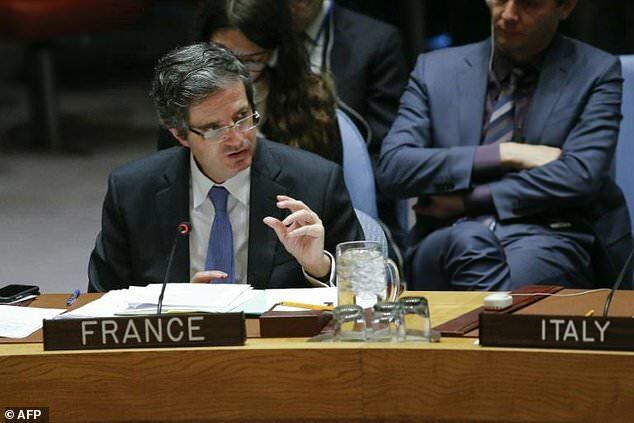 "It's vital to keep the unity of the allies in what remains the number one priority, which is the fight against terrorism and against Daesh in particular," Delattre stressed, using another term for the IS militant group. "The number one party responsible for the humanitarian tragedy in Syria is the Syrian regime," he added. "The number one tragedy happening before our eyes happens in Eastern Ghouta and Idlib." "If things continue this way, Eastern Ghouta might be the new Aleppo in terms of humanitarian disaster," Delattre added. “Turkey's goals in the Afrin operation are clear and limited. It is to clear its border from the control of terrorist elements that threaten its national security and territorial integrity. Turkey also aims to prevent the formation of a YPG controlled quasi-state that has access to the Mediterranean Sea. The emergence of such a hostile political entity or autonomous unit along its southern border may change the status quo against its interest and isolate Turkey from the rest of the Middle East. Prevention of another inundation of refugees to its borders is also another sensitive issue that is haunting decision makers in Ankara. Turkey also wants to play a more active and influential role in reshaping the political future of Syria in the diplomatic arena. Since the YPG is armed and trained by the U.S., Turkey may directly and indirectly confront the U.S. in the field. This confrontation may lead to a broader strategic rift between the two NATO partners"
I've reported on, in a number of posts, the massive rift between the US and Turkey. Beginning long before the attempted coup took place! "The Turkish Air Force attacked the Menagh Military Airbase in northwestern Syria, which the US used for supplying weapons to Kurdish armed forces, the Hurriyet newspaper reported citing military sources"
Turkey not eying Syrian territory? "Turkey’s president said on Monday that Turkey is not eyeing Syrian territories and that the ongoing operation in Afrin will end as soon as its objectives are met. "Turkey has no design on the territories of another country. The operation in Afrin will end when its aims are fulfilled, like Operation Euphrates Shield," said Recep Tayyip Erdogan at an awards ceremony in the capital Ankara, referring to a successful cross-border operation that ended last March. The president said the current Operation Olive Branch is not aimed at Kurds but instead targets terrorists in the region. “It is very clear that we do not have any problem with our Kurdish citizens; it is also not a matter of a Kurdish corridor"
"The incident is a matter of destroying the terrorist corridor” in Syria, he added. “The main purpose of this operation is to contribute to the safety of life and property of Syrian people as well as the territorial integrity of Syria, along with Turkey’s national security,” he said"
Erdogan get's some digs in! “He also criticized the U.S. State Department urging Turkey to limit the operation’s scope and duration. “The U.S. and the President Barack Obama personally promised that PYD members in the SDF would be withdrawn to the east of the Euphrates River. Now the U.S. must keep its promise, and we expect them to. We are maintaining our communications regarding this matter." Of course the US did NOT keep this promise and they never intended to ,choosing instead to move troops into the area and bolster their Kurdish proxies. “The entire U.S. strategy rests on the Kurds. Even if Turkey doesn’t attack Manbij, the fall of Afrin will weaken the Kurds, and that will weaken the U.S. influence with the Kurds,Tol said. ”The only leverage the U.S. has (in Syria) is through the Kurds. “If Manbij falls, Raqqa is going to be threatened and that is key for the U.S.,” Tol continued"
Just a thought.... Turkey is forced to enter Syria, to pre-emptively defend itself from an ARMY amply and generously supplied by their NATO ally the United States- Allies? "But many analysts say the standoff in Afrin is hotter than it looks. The influential Soufan Group, a US-based security intelligence strategy firm, said in its latest brief that the Turkish action is an example of the new coalition between Turkey, Russia and Iran, which are "united in a desire to block US interests in the country." The US will have to back down or ratchet up the conflict with its NATO ally Ankara, the Soufan Group suggests"
Back down or ratchet the conflict up- Which do you think it's going to be? Of course I had the most recent article from Soufan bookmarked for this latest post! The initial statement about the border force was that it was intended to keep the Islamic State from regrouping while keeping foreign fighters from traveling freely. As Turkey’s reaction grew more vocal and aggressive, the U.S. stated that the rollout of the announcement had been handled poorly and that in no way was it creating a ‘border force’—even though that was the term it had used to announce its plans. The U.S.-Turkish relationship has been deteriorating, especially since the July 2016 failed coup. Ankara accused the U.S. of supporting the coup. 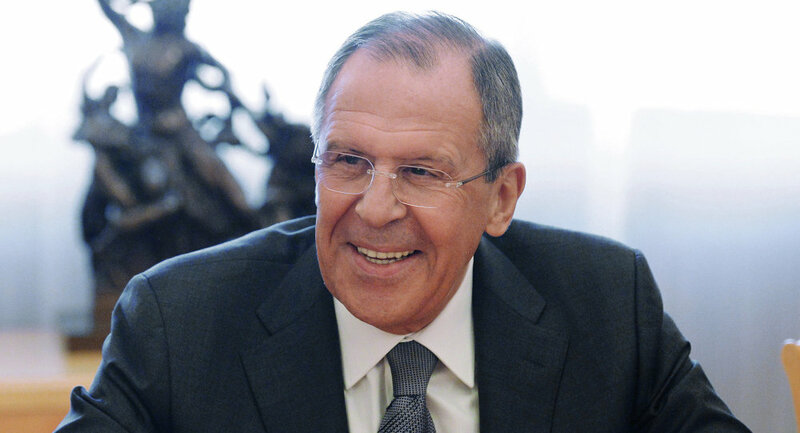 It's a deliberate provocation- Lavrov knows this. As well as I do! 1-failing to consider that redrawn map includes a balkanized/weakened Turkey. As well as Iran. 3- It is also ignoring the historical fracturing of the NATO alliance at this time. Personally speaking again, presenting Turkey's move into Syria without considering the points mentioned above and what has been going on the past few years is a very NATO advantageous narrative- It will allow the NATO friendly presentation to move forward with other NATO members attacking Turkey for being 'rogue'. Russian Forces Exit As Turkey Begins Afrin Operation? It is France that called for an ‘urgent’ UN meeting- Earlier there were claims that Russia was going to do that. Claims, quite frankly I did not believe. Since I hold the opinion Russia green lighted this operation. As did Iran. As did Syria. It seems self evident despite all the cheap talk. “If the US wasn’t going to arm Kurds, Turkey wouldn’t have arrived to the point where it is.” Ankara “tried to draw attention of its ally, [telling the Americans] ‘You should not arm and train and provide ammunition to a terrorist group’,” Yakis said, referring to the Kurdistan Workers’ Party (PKK) viewed by Ankara as a terrorist group. Of course they are! That’s the way this ‘game’ has been played since it started. I caught on to this some years ago- Hence KurdIShIS! Finally we get a better look at what the Syrian destabilization has been about, even though this article is lacking. Turkey vs Kurds? - Not entirely. The hoped and planned for creation of a Kurdish nation state from the ashes of four destroyed nations. Control of the Turkish Straits. Impeding Russia. True enough. I've not forgotten them. But the ordinary folk we're never a concern to anyone other then the domestic government. * Both the Kurdish thugs and their Israeli allies detest Christians. *but we already know that Russia has told the US backed Kurdish proxies to hand the territory back to Syria- And it is Syria’s territory. And they’ll pretty much put a stop to this- The US backed Kurds refused. They can change their mind. But I don’t think they want to. One thing we can say with certainty this is all “up in the air” and deadly dangerous. The potential for this to spin out of control is very high.